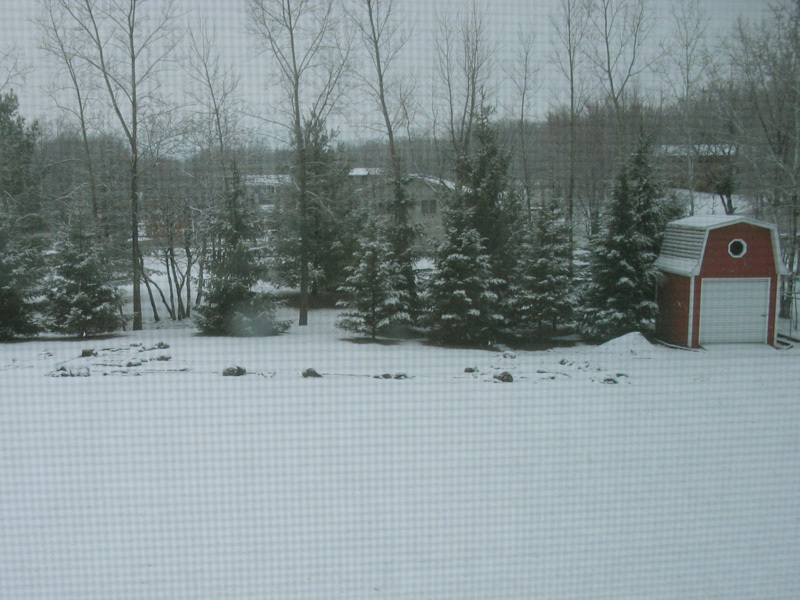 It is Spring, right? You could have fooled me. Weather Underground tells me that it is a 51.8º right now – but I’m not sure if I believe that. ::Sigh:: My tomatoes, peppers, and eggplant are nearly a month old now – I was worried about germination, because the seeds were all from 2007. But they are doing quite well, and can’t wait for 70º days. 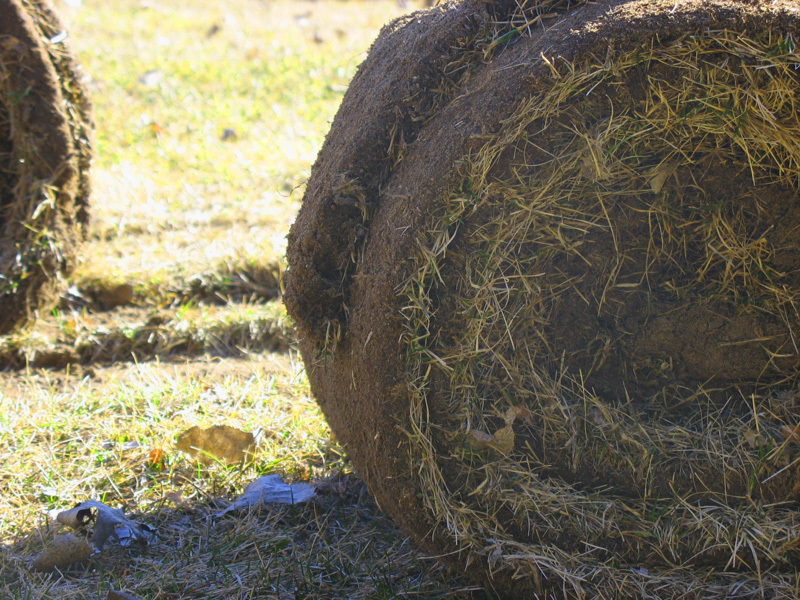 The new garden is just under 50′ x 25′ – we rented a sod cutter to strip out the grass – it’s going to save us a lot of work this summer, but it’s also going to be a lot of work this week rolling the sod and moving it to our compost pile. 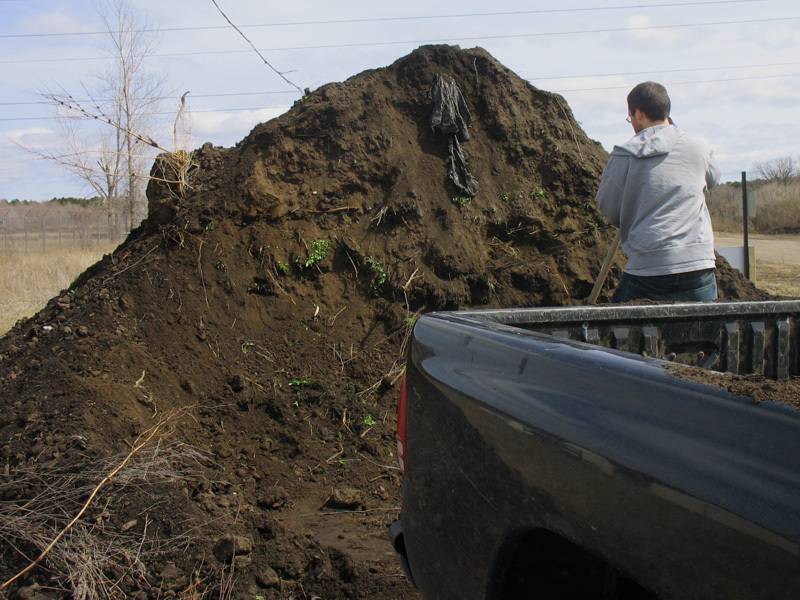 Our county has a free-for-all compost site, and we have picked up three truck loads so far. And, coming at the end of April/Early May… 24 raspberry plants (red, black, and yellow!) and 4 blueberry bushes! We won’t have a berry crop this year – and you are supposed to wait until the FOURTH year for blueberries (cutting off the flowers so the plant gets established). 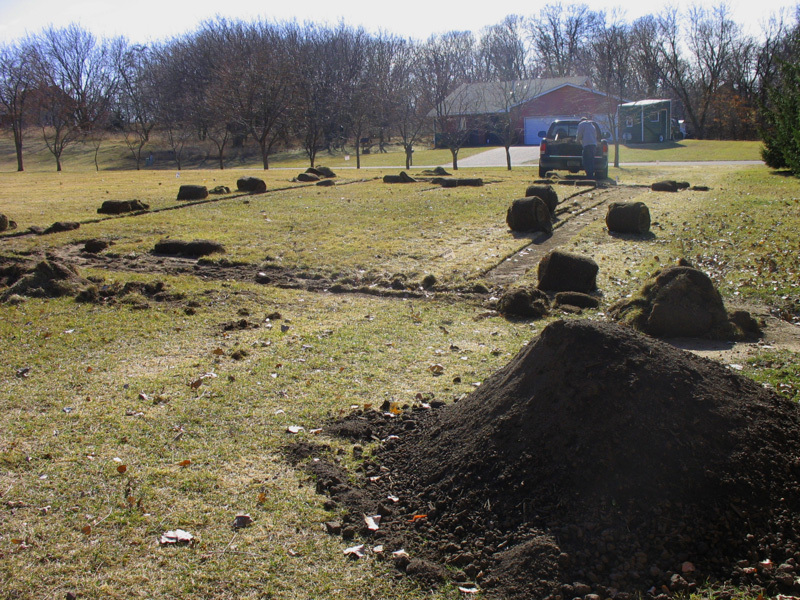 Gopher1 was out today marking buried lines, so now we can decide where to plant the berries.